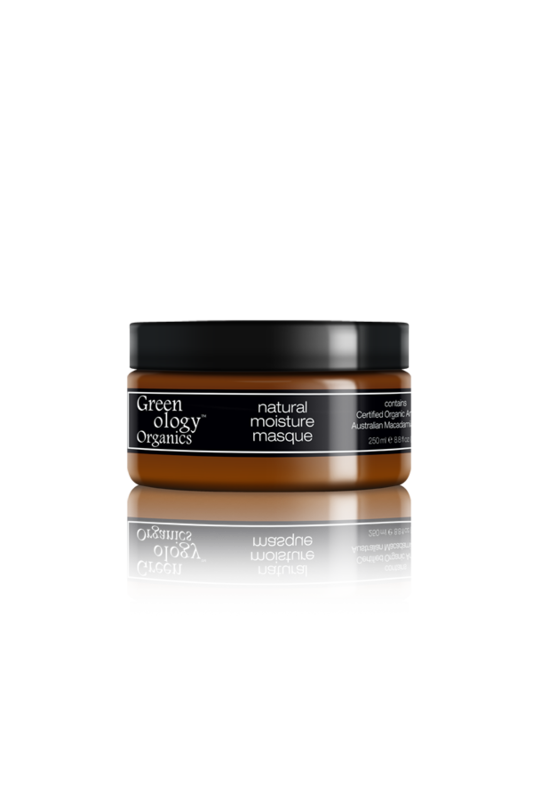 GREENOLOGY ORGANICS MOISTURE MASQUE 250ML – HAIRDEPOT - Hair & Scalp Care Products, Prevent Hair Loss, Shampoo, Conditioner, Treatment, Styling, Appliances and more! Natural moisture rich hair masque, infused with ‘Argan & Macadamia Nut Oil’. An intense hair masque that penetrates the cuticle to help reconstruct structural integrity, rebuild strength, and restore elasticity of the hair with parabens-free, sulfates-free. The masque provides exceptional color protection and helps reverse damage caused by environmental factors, heat stress, vigorous styling, and chemical color treatments.